At first glance, polycarbonate might not look as strong as steel, but after your first use of a polycarbonate blade you'll see that it's more than just a piece of plastic. Polycarbonate is a high-strength, flexible material; so durable that it has been used for cockpit windows on jet fighters and windows on the President's limo. 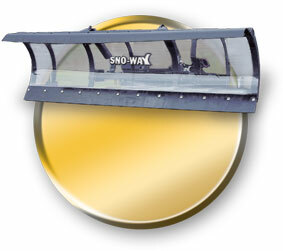 Polycarbonate yields the same integrity as steel moldboards and offers additional benefits that make it the professional snowplower's choice. For skid steer plowers, polycarbonate also has the additional benefit of allowing you to see what you are plowing.